Obituary – LeTellier, Paul Everett « Perry High School Alumni Association, Inc.
﻿- son of Mr. and Mrs. P. E. LeTellier, plans to become an aviator after graduation. He has been studying aviation and world events for a hobby for the past several years. He lives at 431 Birch street with his parents. He was born in Arkansas but came to Perry with his parents before he came of school age. He has been here since. Paul E. LeTellier, Jr. was born in Arkansas a little more than 25 years ago to Prosper Emile and Rose Mae (Ames) LeTellier. He moved to Perry with his parents in 1921. A graduate of Perry high school in 1939, Paul was well known in Perry. He was a member of the National Guard in Perry and went with that battery to Fort Sill in September of 1940 as a corporal and was in line for a promotion when death occurred on January 16, 1942. He had come to Perry for the funeral of Grover, his brother, who was killed earlier this week in a truck accident near Roswell, N. M. and on his return was killed in an airplane crash. Paul was a member of the Christian church. 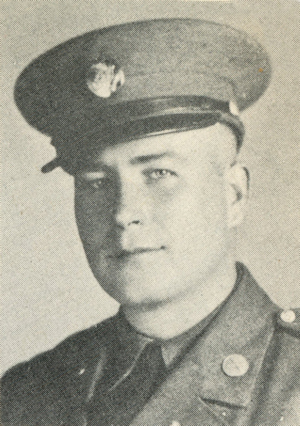 ﻿Paul LeTellier, Corporal, Field Artillery, U. S. Army. Home address: Perry, Noble County. P. E. Letellier, Father, 431 Birch St., Perry. Born May, 1916. 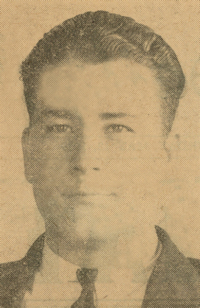 Enlisted 1933. Served in Oklahoma National Guard. Stationed at Camp Barkeley, Texas. Died January 16, 1942, airplane crash, Phantom Lake, near Abilene, Texas, with his brother, James LeTellier, both returning to their respective duties from the burial of their brother.